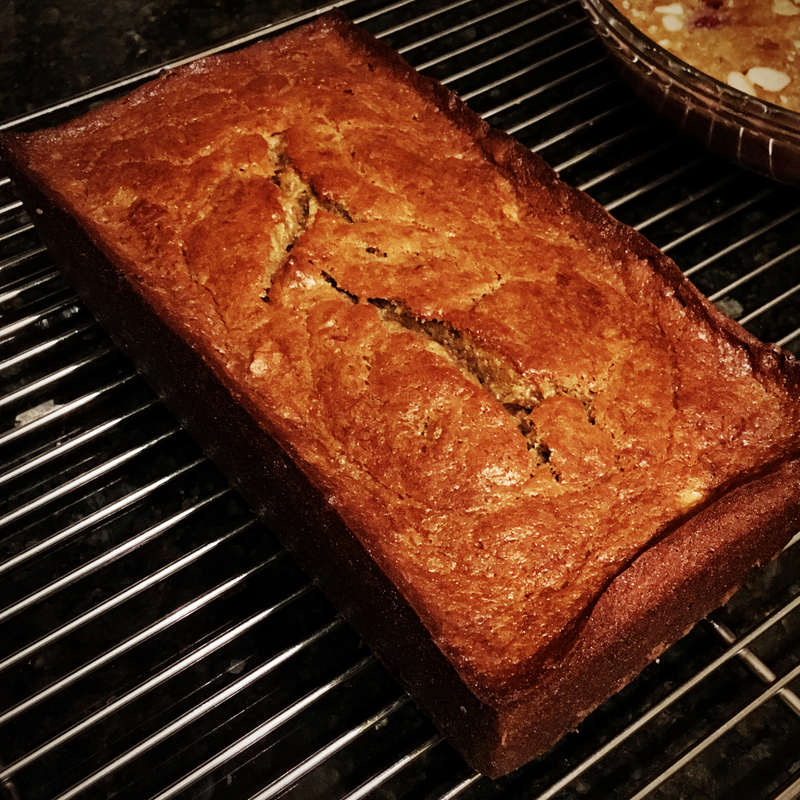 Even Banana breads have a boss. Preheat oven to 350°F. Grease a 9×5″ loaf pan with butter and dust with flour, tapping out any excess. Combine banana, sour cream, and vanilla in a medium bowl. Sift together flour, baking powder, baking soda, and salt in a large bowl. Using an electric mixer, beat butter and brown sugar on medium speed in another large bowl until light and fluffy, about 3 1/2 minutes. Add eggs one at a time and beat on medium speed until fully combined, about 1 minute each. Add banana mixture and beat until just combined, about 30 seconds. Add dry ingredients in 2 batches, beating on low after each addition and scraping down sides of bowl if necessary, until fully incorporated, about 20 seconds per batch. Fold in walnuts. Transfer batter to prepared pan and smooth top with a spatula. Bake until a toothpick comes out clean, 60–65 minutes. Let cool in pan for about 20 minutes then let cool completely before cutting.